The disappointing festive trading period for the big four supermarkets could prove to be catalyst harbinger for a major change to the way consumers shop for food, according to Nick Miller, Head of FMCG at global supply chain consultancy Crimson & Co. Nick Miller suggests we are now entering a new era that will see consumers swap trolleys and trips to the supermarket, in favour of online ordering as the preferred method of choice for putting food in our cupboards. At the end of last year, each of the big four supermarkets (Asda, Morrisons, Sainsbury’s & Tesco), saw sales decline in the run-up to the Christmas period. The impact of this is just the latest in what has been a difficult year for the big retailers with Tesco recently announcing the closure of 43 stores, placing 2,000 jobs at risk, as well as Sainsbury’s looking to cut 500 head office jobs, as part of a drive to save money. The fallout is expected to bring about big changes for the food retail sector, allowing other retailers, outside of the big four, to stake a foothold on the market. Miller suggests that those without an effective online ordering infrastructure could be left on the shelf. Recent research from the Centre for Retail Research has predicted that 2015 will see online retail sales reach £52.25bn in the UK, a 16.2 per cent increase on 2014 when the total stood at £44.97bn. 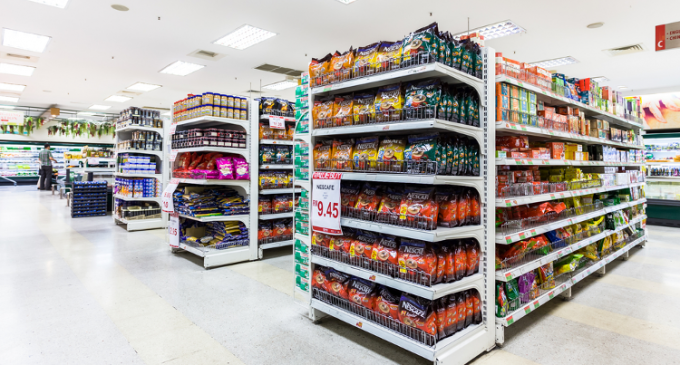 Supporting this, findings from research firm IGD stated that the online market is set to become the fastest growing channel for grocery goods over the next five years. Nick Miller says that the downturn in sales for the big four supermarkets, and the potential uptake in online grocery shopping, will accelerate the decline of traditional superstores and hypermarkets, as well as opening the door for other retailers: “Previously, the barriers to embracing online shopping for consumers have centred around reach, product availability and quality. Limited delivery windows and poor product replacements dented consumer confidence. The growth in ‘anywhere customers’ have forced retailers hands and now we are starting to see companies offering greater choice as to how consumers purchase and collect their grocery shopping. “Increasingly, supermarkets are offering same-day click & collect services meaning consumers are able to collect their shopping at designated collection points, at times which suit them. This for example, could be at their local train station on their return from work. Bigger products can also be collected from specific distribution centres close to the consumer, often within 24 hours of ordering, meaning no need to wait around for days on end, for an order to arrive. “With confidence returning, all signs suggest that online shopping is rapidly becoming more mainstream and is here to stay. For the supermarkets themselves, the question that needs to be asked is where to go from here. “Amongst the positives, there are threats to the supermarket firms, notably the rise of other major retailers encroaching on the market. The likes of Amazon and Google in the US have announced partnerships with food retailers offering delivery services – how long before we start to see this in the UK? The focus will be on making online ordering and deliveries much more economical, and it’s imperative that supermarkets react quickly to this. “Additionally, the growth in online shopping will be off-set by the decline in consumers visiting the grocery big-box. Local authorities are increasingly challenging retailers when it comes to obtaining planning permission for new stores. And, with a shift away from the traditional weekly big-box shop in favour of online and top-ups at metro and local stores, we could reach a point when superstores and hypermarkets are surplus to requirements.